Forty of the Appalachian Trail’s 2,168 miles run through Maryland. Some people backpack the trail for days, but there are several scenic hikes that families can enjoy. 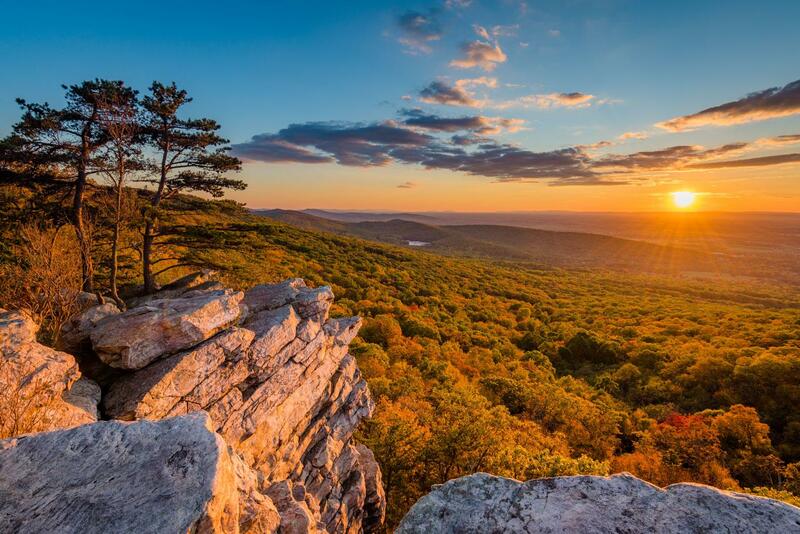 Annapolis Rock is a 2.2 mile long trail overlooking Greenbrier Lake and Cumberland Valley to the west. Black Rock is one mile further north along trail also with a western trail view. The hike to both parks and back to the parking lot is 6.4 miles. 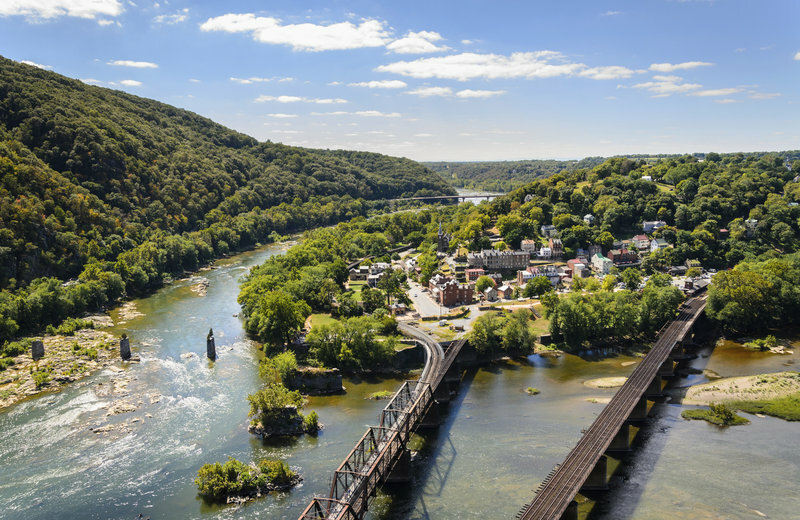 The Maryland Heights Trail is part of the 2,000 mile trail system in Harper’s Ferry where families can enjoy history. 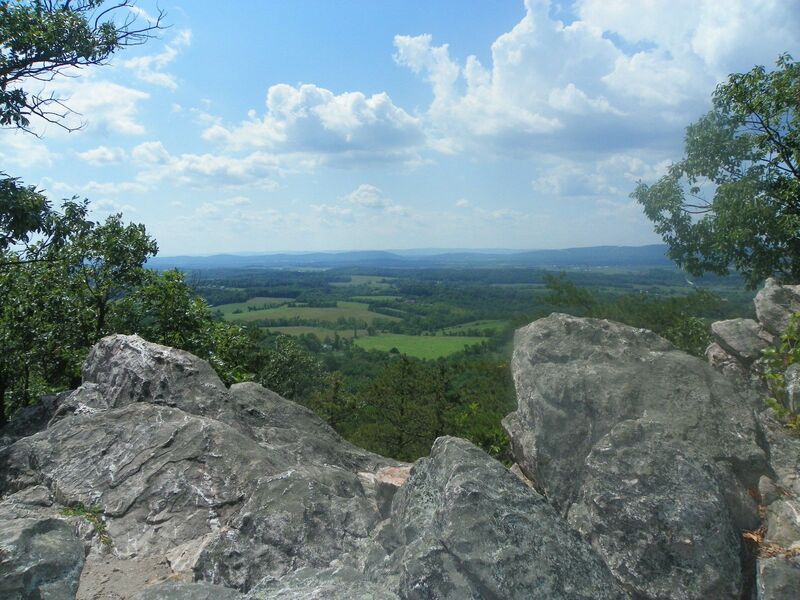 At the top of the trails cliffs, you can see 50 miles across the Potomac and Shenandoah river valleys. The hike to the cliffs are steep and rocky and about 4 miles round-trip. There is a stone fort up the mountains from the civil war, which has a gorgeous eastward view during winter time. The route to the cliffs and stone fort is 6.5 miles. Directions: visitor center parking lot, cross the Potomac River on the Appalachian Trail footbridge to the Maryland side, and then walk upstream on the C&O Canal Towpath for 1/3 mile, where you will see a sign and the trailhead. Frederick County’s Sugarloaf Mountain rises above the surrounding land, overlooking the view of 800 feet of farmland. The Northern Peak Trail is 5 miles long looping around the summit and past the White Rocks overlook. From the blue trail, you can take either the green trail or red trail that leads you to the summit. Taking the 7 mile white trail will allow you to overlook the four vistas of the three overlooks and White Rocks. Click on the link below for a map of the trails. Directions: 7901 Comus Rd., Dickerson (Park’s main entrance). Follow signs to the West View overlook parking lot near the top of the mountain. 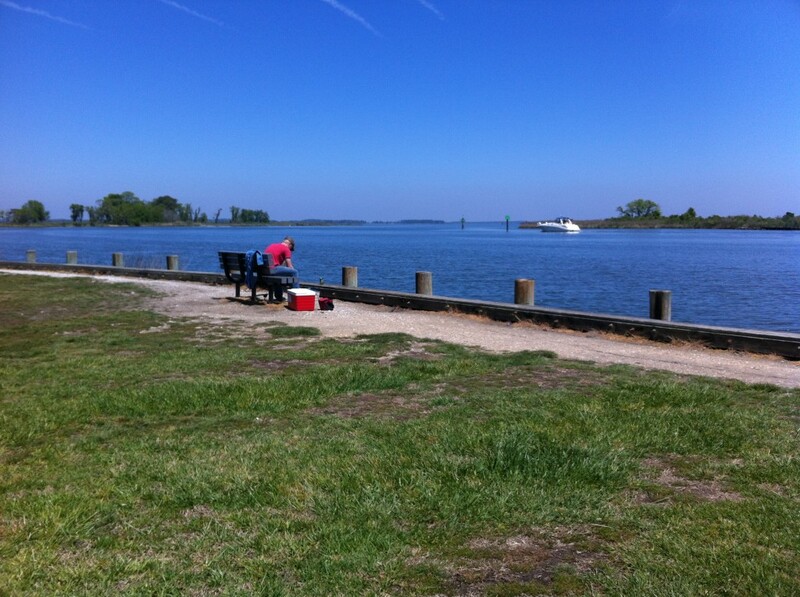 For a beautiful view of the Chesapeake Bay, try the 0.8 mile Lighthouse trail at Elk Neck State Park. This trail will lead you to the Turkey Point Lighthouse. For a more brisk walk, take the 3 mile White Banks Trail to the White Clay Cliff’s above the bay. The park has additional trails through beaches, ponds, and forests. For a relaxed, paved hike try the 6.5 mile Cross Island Trail which runs parallel to Route 50 has a great view of the Bay Bridge and Chesapeake Bay. The trail passes through Old Love Point Park, that has athletic fields and playgrounds. 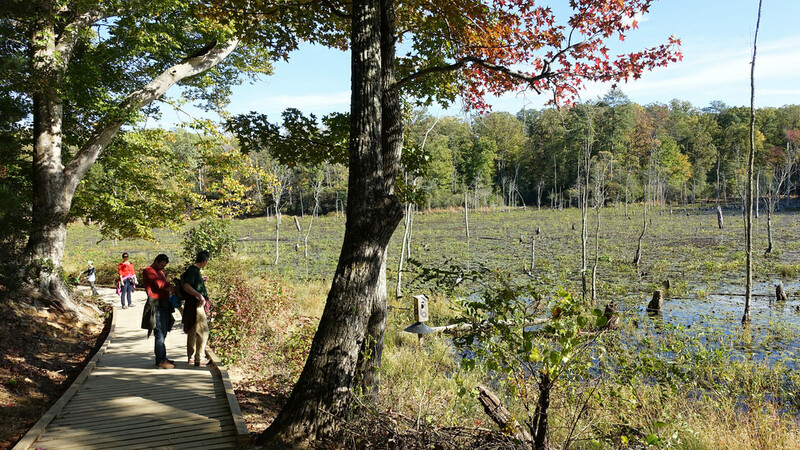 Enjoy Calvert Cliffs 1.8 mile trail through marshlands, forest, boardwalks, and dirt paths, ending in a must see view of the Chesapeake Bay. The beach near the cliffs is a great spot for children to go fossil hunting. The trail is 1.8 miles each way, adding up to 3.6 miles. Just outside of Baltimore, the Patapsco Valley State Park runs along 32 miles of the Patapsco River with 170 miles of trails. 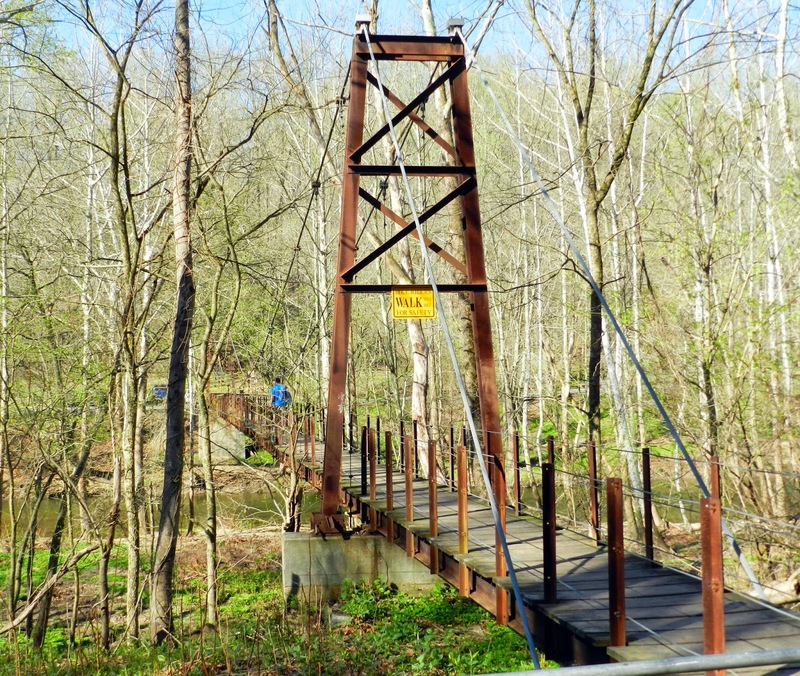 The trail passes into a suspension footbridge that crosses over the river and continues to Bleode Dam. Grist Mill Trail is also handicap accessible at the beginning of Lost Lake Parking lot and follows the river and railroad bed for 2.3 miles.